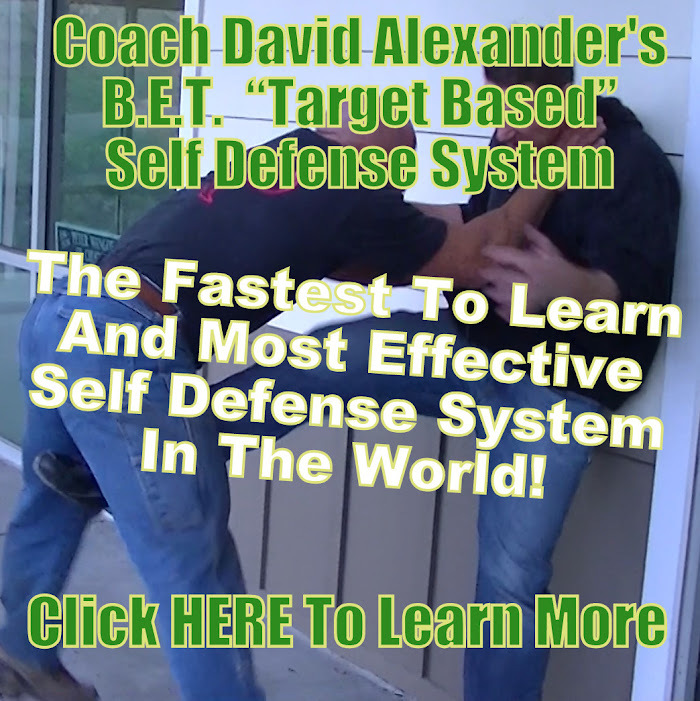 Also posted on http://www.1LessonSelfDefense.com. This is not a technique that we would normally use in the B.E.T. Self Defense System. It would only be used if you were a larger defender against a much smaller attacker. WARNING!!! What I teach will seriously injure or even kill. These techniques should only be used in a life threatening worst case scenario. If you’re uneasy about taking someone’s life to save your own or someone you love, then this is not the system for you. Go home, board up your windows, lock your doors, buy a few pit bulls, drudge a moat and NEVER, EVER GO OUTSIDE! You must stop when you feel that the threat is neutralized in the eyes of the law. You are responsible for knowing your states self defense laws. Want to learn more? I will be working on a DVD soon or you can schedule a private or group lesson. I can come to you or you can come to me.